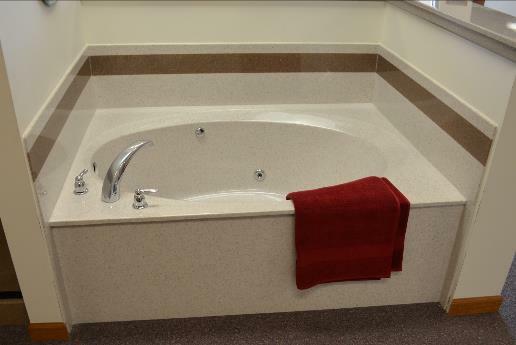 A spacious oval 5’ tub. It is extra deep and extra wide for the ultimate in soaking comfort. 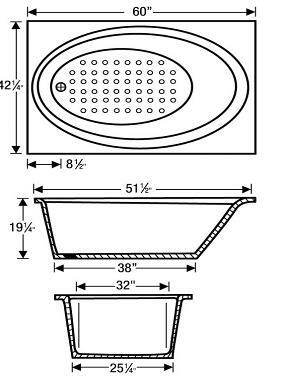 It features a slip-resistant bottom, and can accommodate a whirlpool system. Cast Wt of tub: 185 lbs.